We are a Microsoft School! 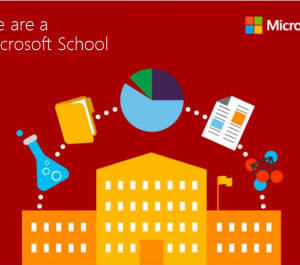 We are delighted to announce that Red House has been successful in its application to become a Microsoft School. Microsoft launched the programme to develop a global community of schools engaged in digital transformation to improve learning outcomes. We are committed to the continued integration of technology into lessons to ensure we have innovative learning environments. Our aim is to become a Microsoft Showcase School where we will lead the way by using technology to engage pupils and to continually enhance our inventive and creative teaching. This is the start of the journey and we are passionate about our vision.